Tags: Painting Of The Day, The Apotheosis of War, Vasily Vereshchagin. Bookmark the permalink. Wowser – this is something. I think my skills lie more in pretty autumn maples and some of those erie snowy forest scenes in Romania, which I am thinking of painting. Best to you both and be safe. 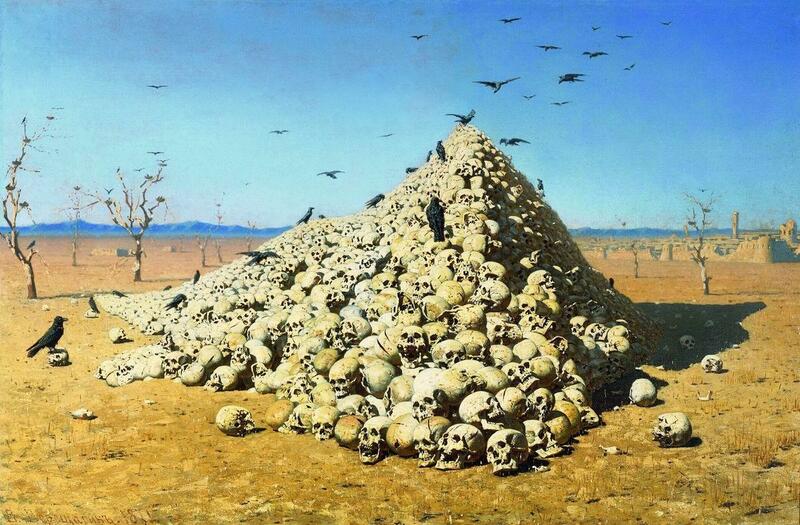 Haha, yes, Vasily Vereshchagin definitely goes in on the heavy side of things. It’s great stuff though, isn’t it?